Dell Services on Tuesday unveiled its new innovation lab for SAP HANA, intended to help its customers evaluate the SAP HANA in-memory relational database management system (RDBMS) and SAP S/4HANA business suite. The lab will also include a co-innovation lab to help customers develop and test solutions, and temporarily use the environment for upgrades and rollout projects. Dell Services is also offering a set of consulting services around the innovation lab to help customers identify potential value, create a business use case and develop zero-impact migration plans. "A lot of our existing SAP customers we service have questions," says Simon Spence, global director of the Dell SAP practice, Dell Services. "They need to identify what their roadmap needs to be making of this transformation: why they would do it, when they would do it, how would they do it." 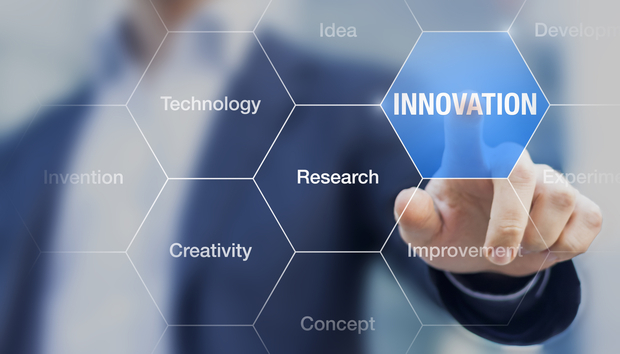 The innovation lab consists of a virtual environment that will help customers answer those questions, allowing them to evaluate the environment before making an acquisition decision, and then jumpstart development after the acquisition of licenses. Spence explains the lab is built on the latest and greatest Dell hardware running HANA, placed in the Dell cloud environment, with 30 TB of capacity that can support 20 to 25 customers at any one time. The lab can do demonstrations with a preconfigured S/4 environment that allows customers to understand the environment's capabilities. "We can do that for any product that runs on HANA," Spence says. Dell Services can also use the lab to perform an end-to-end Fit/Gap Analysis on an organization's business process to help it understand where potential gaps are and what the process improvement possibilities are. Or it can go more in-depth and create a proof of concept, especially if a customer has a unique business case. "We have the capability if a customer wants to see a proof of concept of migrating one of their existing SAP applications into the environment," Spence says. "We can then open it up to customers to let them do analysis on the performance improvements." For customers who have made the leap to HANA but need help getting applications up and running, the lab can help organizations develop and test solutions in the Dell Services environment and then do the heavy lifting of moving it to the Dell cloud or an on-premise environment. "The benefit we see is helping our customers reduce risk," Spence says. "They can evaluate and have a better idea of what they're getting before they commit. Really, there's a lot of risk reduction. It's the ability to reduce the cost of implementation and the deployment timeline." Infrastructure provisioning. Dell Services has invested in the SAP HANA licenses and hardware, allowing customers to access and evaluate the solution prior to purchasing. Co-Innovation lab. Customers can develop and test solutions in the Dell Services environment for short periods of time, or temporarily use the environment for upgrades and rollout projects. Consulting services. Dell Services runs workshops to help customers identify potential value, create a business use case, provide specific industry solutions with smart factory and IoT and develop zero-impact migration plans.